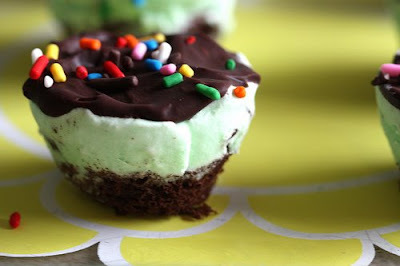 CakeWalk: I scream, you scream, we all scream for ice cream…cupcakes! CakeWalk is a weekly column by Mary Ann Porch dedicated to every baker who has ever struggled to achieve the right consistency with their icing, unsuccessfully searched for the perfect cupcake topper or just wants to learn something new. Because with a few helpful tips, cupcakes are a cakewalk. As we enter the middle of July, New York has finally welcomed summer. Our freakishly cold and rainy June left many of us wondering if the sun and hot temperatures was ever going to arrive, but based on the amount of sweating and pit stains I garnered on the way to dinner last night, I open my sunburned arms to embrace the season. And if you’ve ever been to New York in the summer, the one constant besides the wafty scent of trash odors increased by the heat are the ice cream trucks parked on almost every corner. Now, I don’t need warm temperatures to indulge in ice cream. As far as I’m concerned, it’s a treat that can be enjoyed 365 days a year. However, it’s more socially acceptable to visit the ice cream truck or store every day when you have the excuse of 85 degree or higher temperatures, instead of the overall lack of self-control when it comes to dessert-minded treats. In the past year, if you read this blog or frequent any sort of kitchen supply store, you’ve noticed the new trend of ice cream cupcakes. For some, this is simply an ice cream cone, minus the ice cream, filled with a cupcake. I like cones. 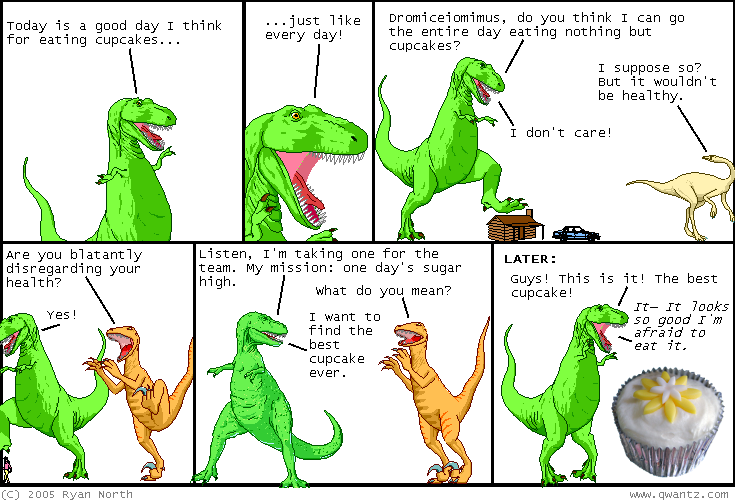 I like cupcakes. Sounds good to me. But in the summer, it would be nice to fulfill the one two punch of the ice cream cone cupcake. What about actually including the ice cream? Ice cream cakes have been around since the dinosaurs (I don’t know where you went to school, but where I come from, we were taught that the mini-fridge/freezer has been around since the dawn of time – get with the program slackers), so if we (or perhaps the dinosaurs invented this – who am I to decide?) 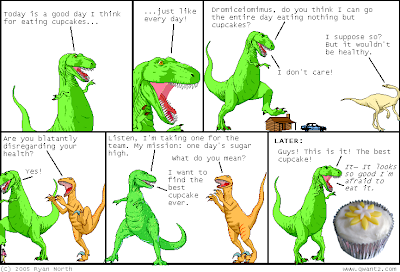 can make a cake out of ice cream, I’m sure that those of us blessed with opposable thumbs can turn ice cream into a cupcake. If you look at it from a size perspective, it’s only about 1/24 of the work involved with making an entire cake. Luckily for those of us terrified of a melting tub of ice cream as we try to finagle a cupcake recipe, there are tools and recipes read for our disposal. Joy the Baker has a wonderful recipe that essentially consists of making mini cupcakes in normal size cupcake tins i.e. you only put half of the batter you normally would into each tin. 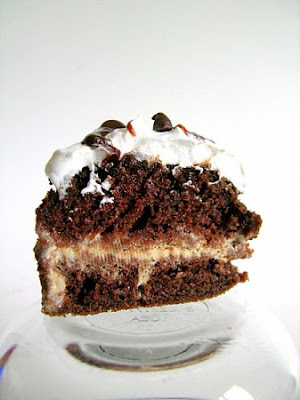 You can see the full recipe here. Joy the Baker features several other ice cream cupcake recipes on her site, including Brownie Bottom Ice Cream Cupcakes. 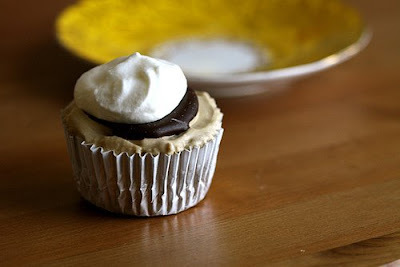 The Sweetest Kitchen also features a delicious take on ice cream cupcakes called the Marshmallow Whipped Cream Frosting cupcake. As with all the ice cream cupcake recipes, it’s a multi-step process, but simple. If you can bake, spread and freeze, you can make these concoctions. For those of you that have an aversion to dairy or simply want to keep it basic, Betty Crocker has a simple recipe for cupcakes simply made to look like ice cream cones. For those of you that are lactose intolerant, consider this the safe option. 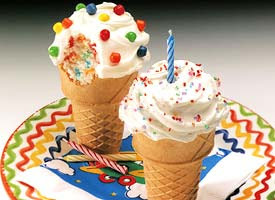 Betty Crocker even offers a "how to" video for ice cream cone cupcakes. And as mentioned, this ain't rocket science folks. Honestly, after taking a look at these recipes, making ice cream cupcakes is a lot simpler than I originally thought. I typically feel this way after reading any baking recipe. And I feel that any "special" tools you might purchase to help you make an ice cream cupcake is really just a waste of money - if you have the standard baking tooks (cupcake/muffin tin, spatula, whisk, etc. ), you can make any of the recipes mentioned in this blog post. As I hope you can see, with a little bit of air conditioning and an afternoon to kill, making ice cream cupcakes is as easy as a cakewalk. Mary Ann is the founder of the New York City chapter of CupcakeCamp NYC, an ad-hoc gathering born from the desire for people to share and eat cupcakes in an open environment. She is also the founder of Puff and Choux, a blog dedicated to the pastry and dessert arts. You can contact her at mary_ann_porch@hotmail.com with any questions, ideas or just to chit chat. You can also follow her on Twitter at @MaryAPorch. I LOVE ice cream cake—ice cream cupcakes would be even better!